Clients want software built for them on time and under budget, but they do not always know what it takes to get the job done. 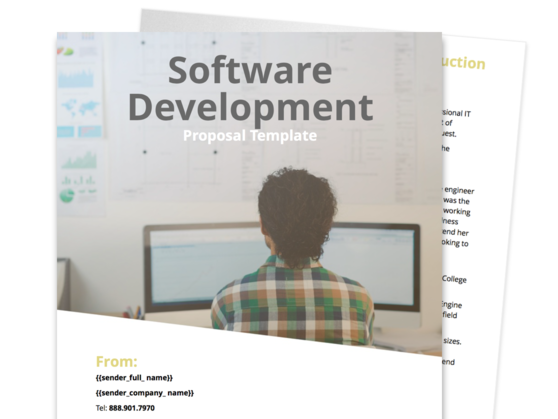 A detailed software proposal template will help you communicate clearly with customers how you will give them the best software at the right price and timeframe. Effectively introduce your company to prospective clients, and establish your expertise in software development. Describe your company’s software development process in a clear and concise manner. Precisely define your project deliverables, from verification and validation to walkthrough and inspection. Provide your recipients an easy-to-understand schedule of costs and fees. Software development companies that create bespoke software solutions to clients who can then use them to address specific business needs. This section provides you an opportunity to let your client know who you are, what you do, and why you’re the best software development company for the job. Defining your people’s skills, experience, and expertise communicates to the customer that it is right for them to repose confidence in your work. 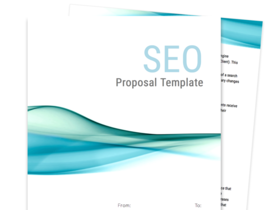 This part of your proposal specifies your software development process. Headlined with an easy-to-understand graph, this section allows you to describe the different stages of the engagement. These can include the appraisal and analysis of the client’s needs, provision of quotation, mockup creation, software creation, deployment and testing, and release of the final product. Designed to be an addendum to the original proposal, this section outlines the deliverables determined during the appraisal and planning phase of the engagement. 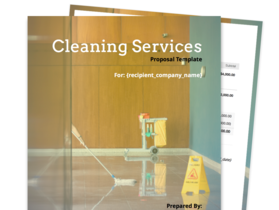 This section allows you to provide your prospective client a clear quantitative estimate of the project costs, as well the corresponding services to be rendered and their durations. 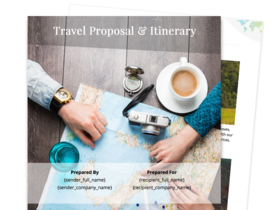 Whether it’s for PHP development, IT consulting, or continuing dev ops support, this part of your proposal allows you to lay down the costs of your services while giving you an idea about whether or not your firm can make a respectable profit from the engagement. The terms and agreement section sets forth the responsibilities of your client, as well as your responsibilities as a service provider and software developer. Depending on your needs, the agreement may include a clause obliging your client to shoulder all expenses incurred during the engagement, or one that requires your firm to retain all accountability when it comes to delivering project deliverables on time.